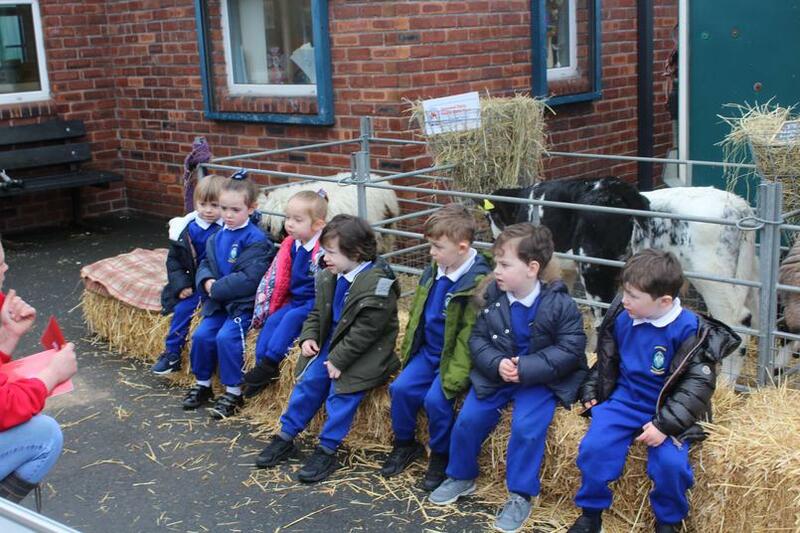 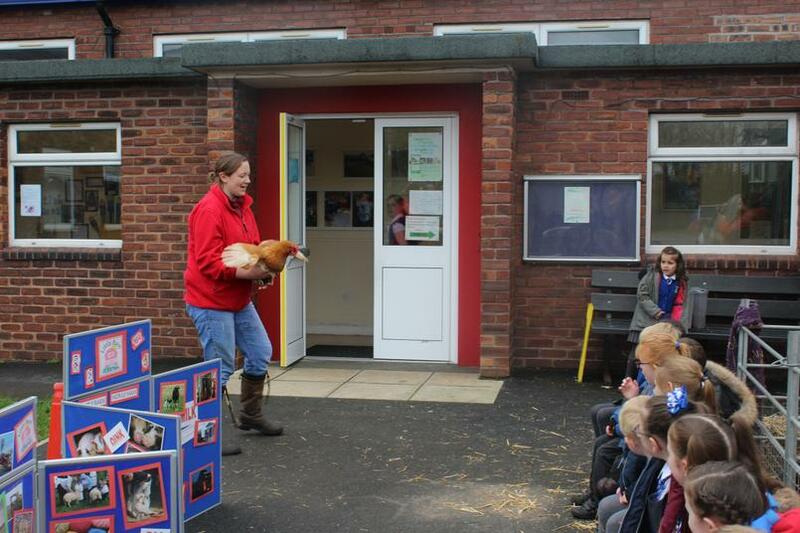 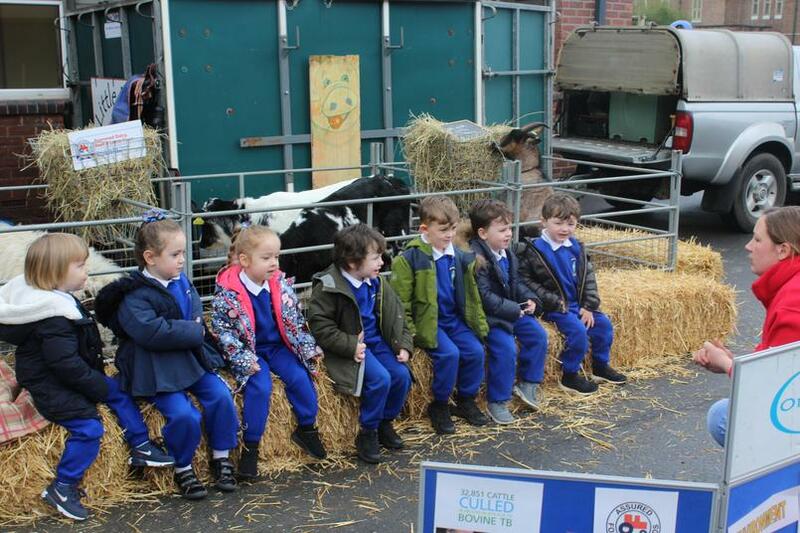 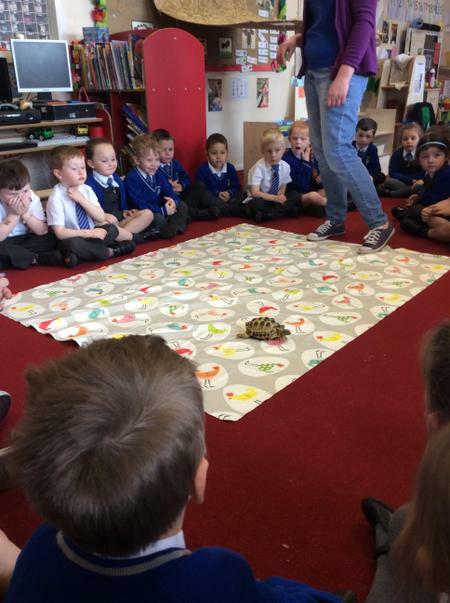 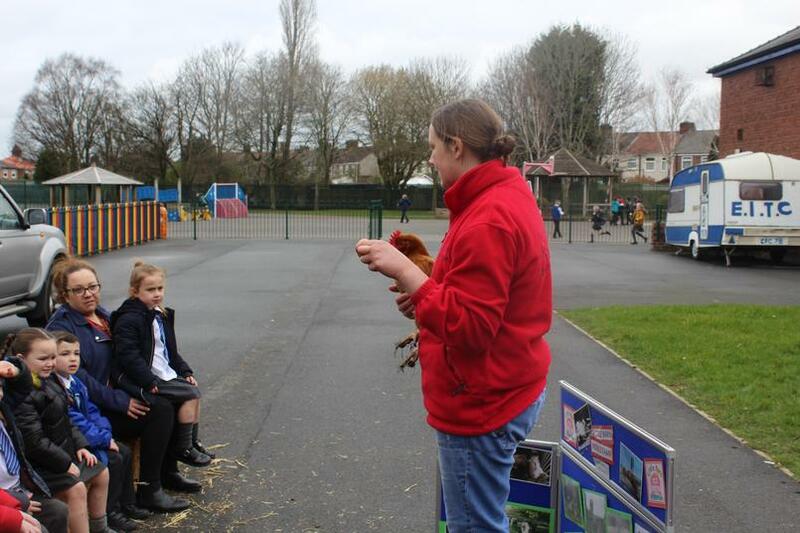 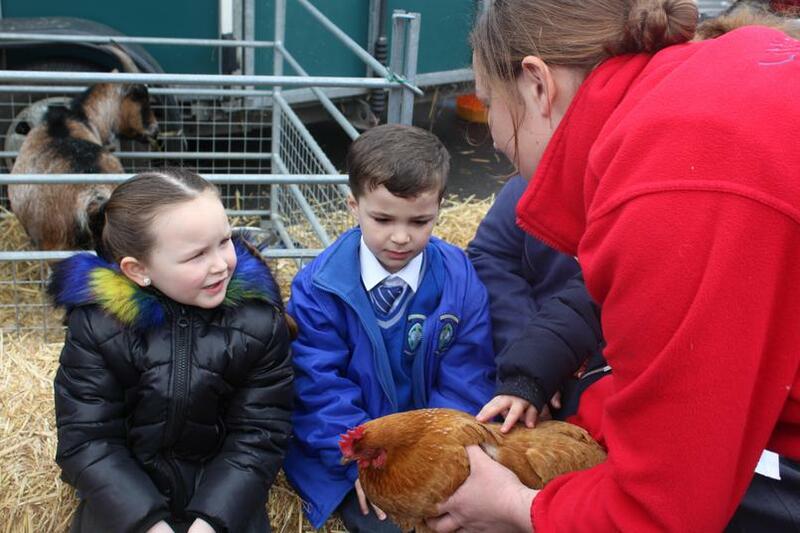 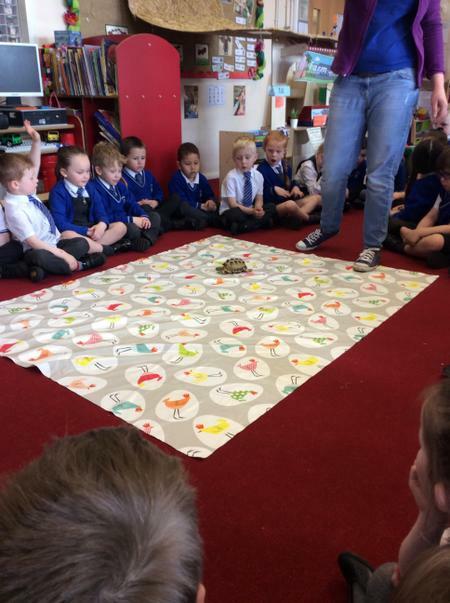 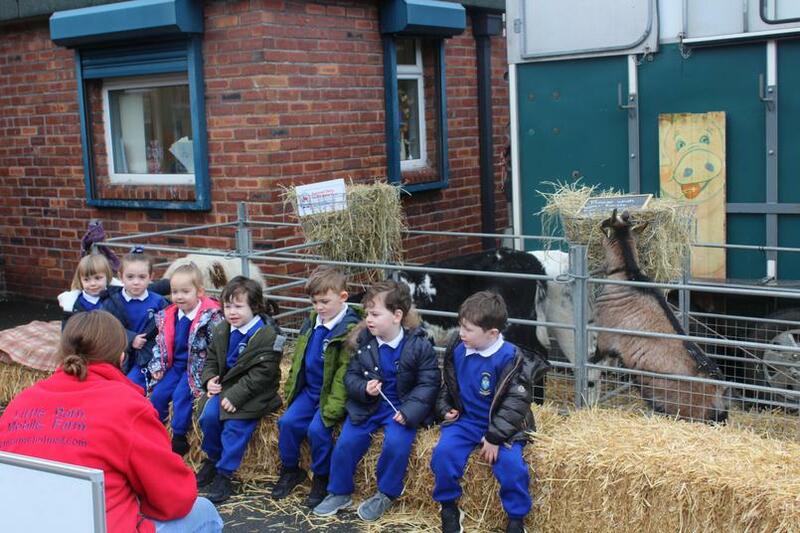 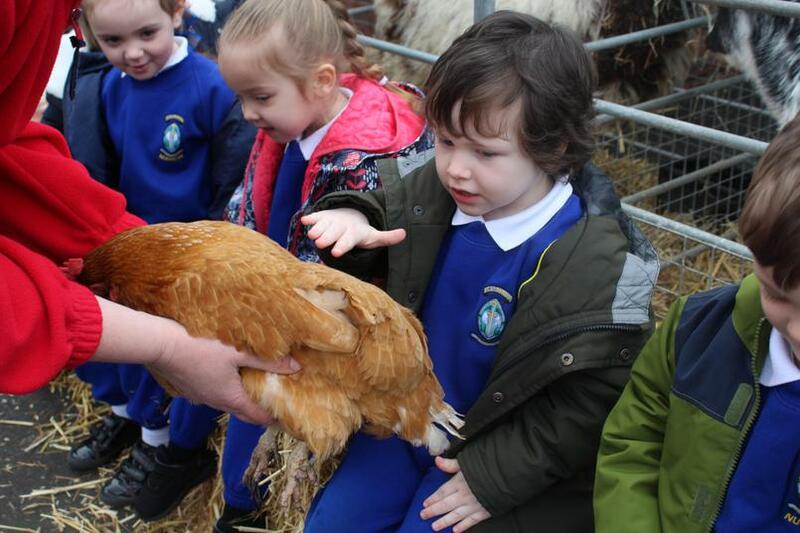 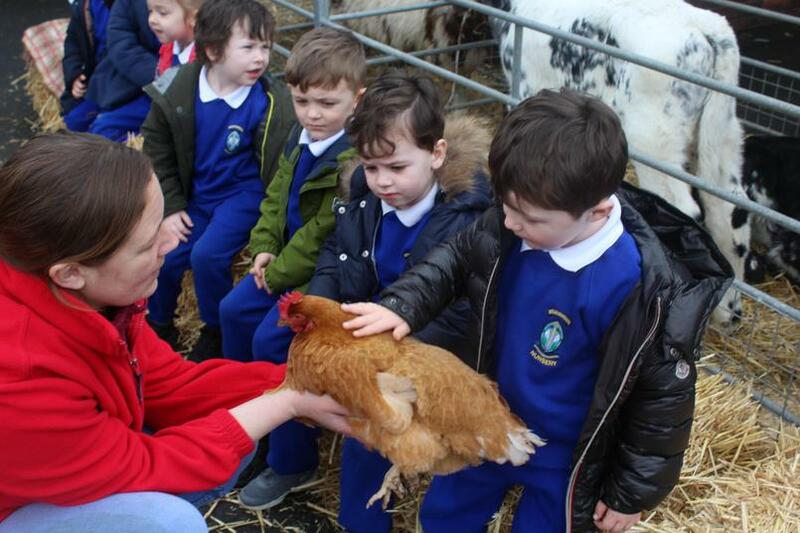 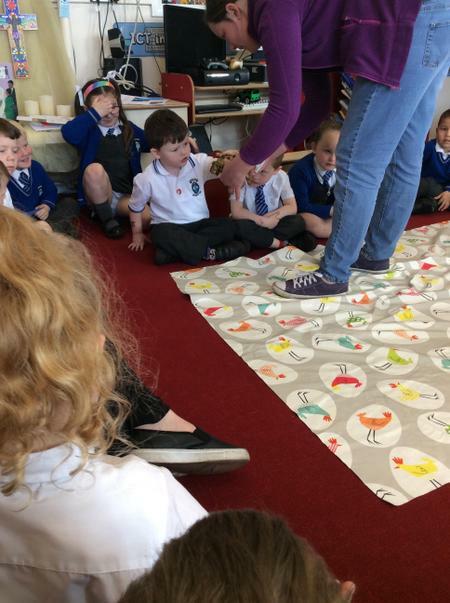 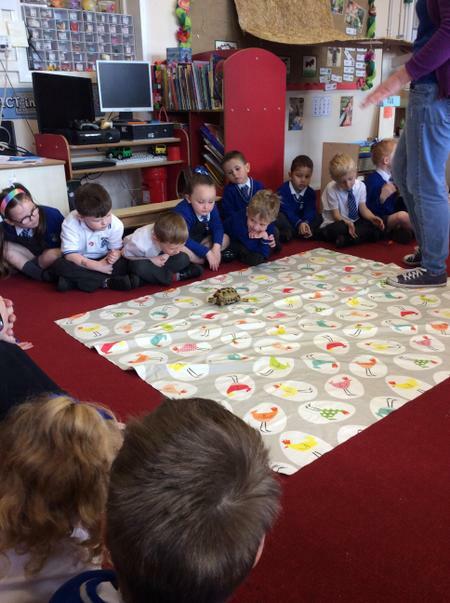 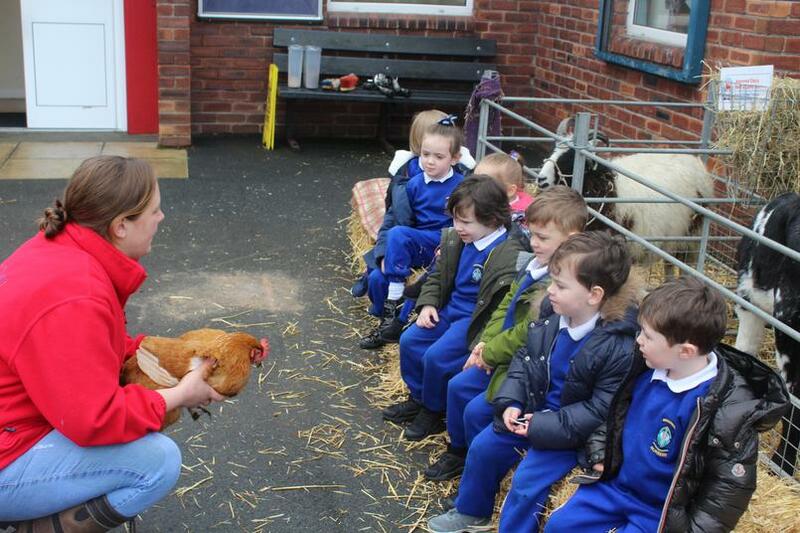 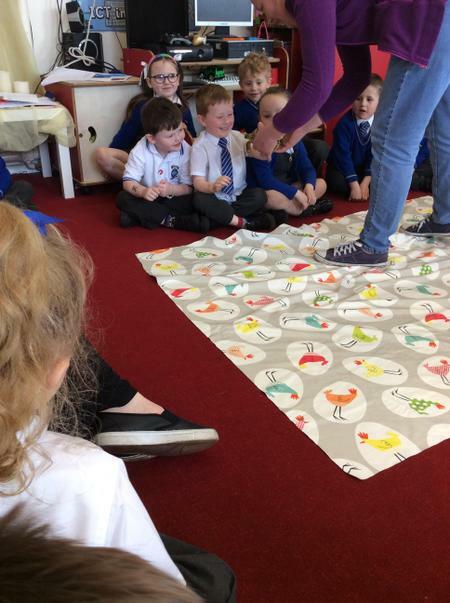 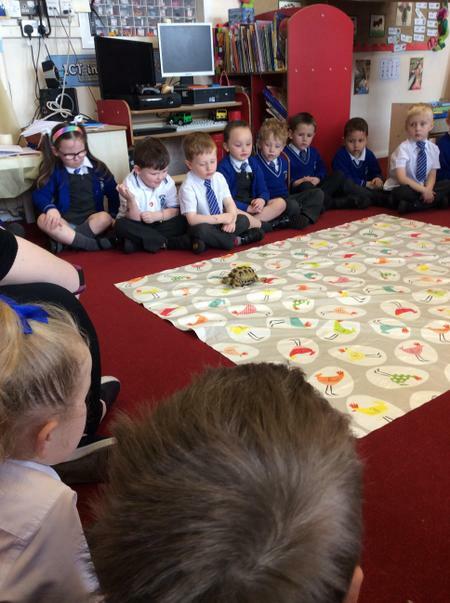 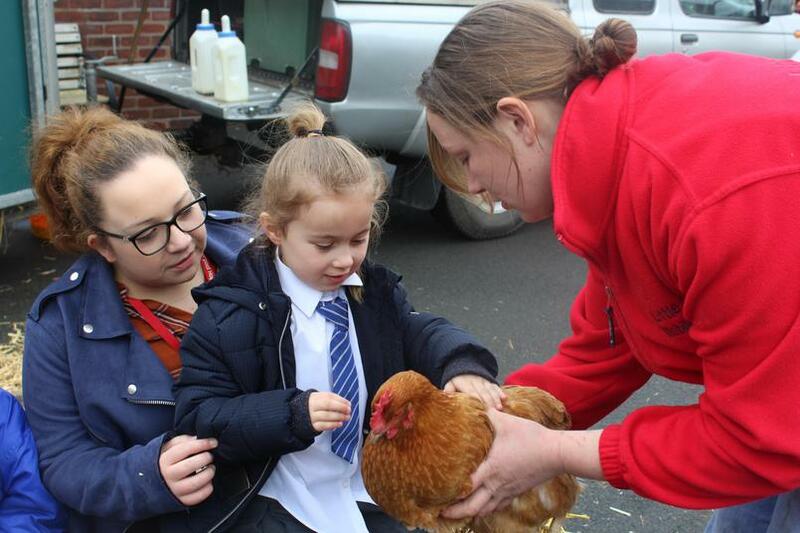 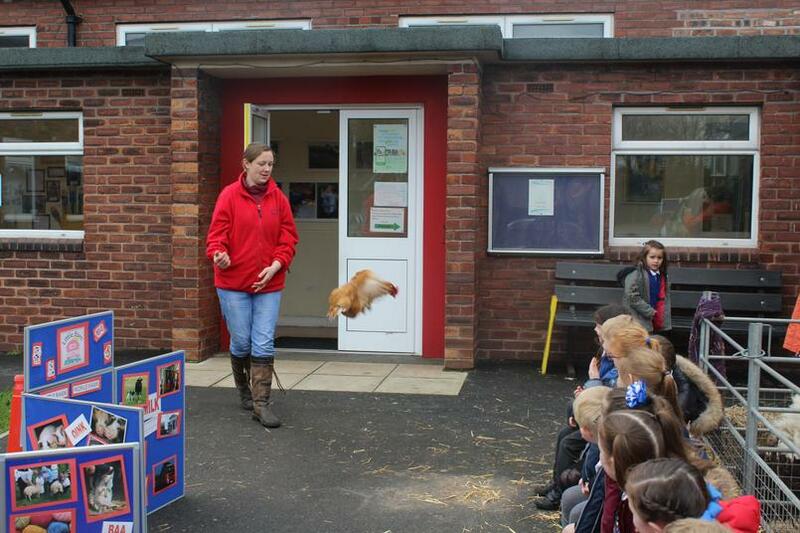 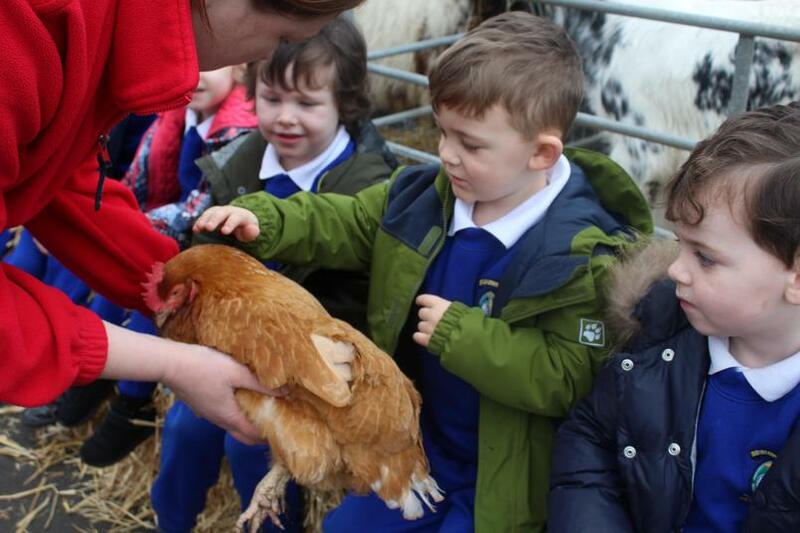 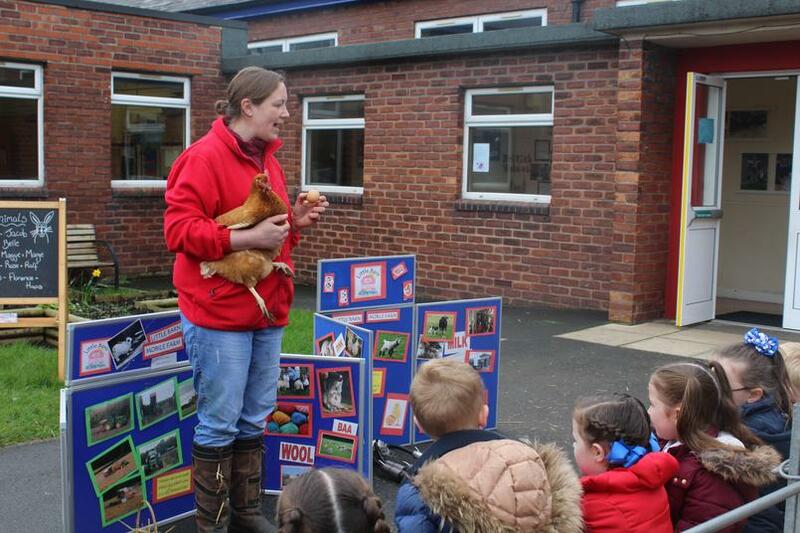 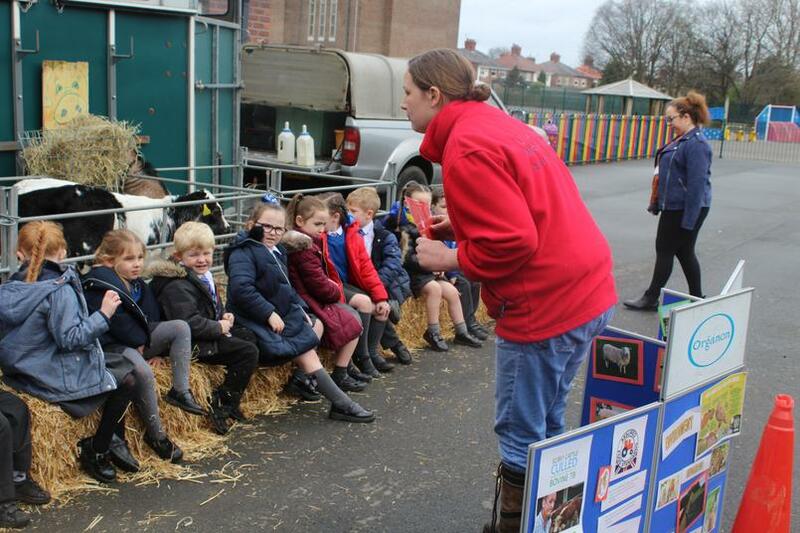 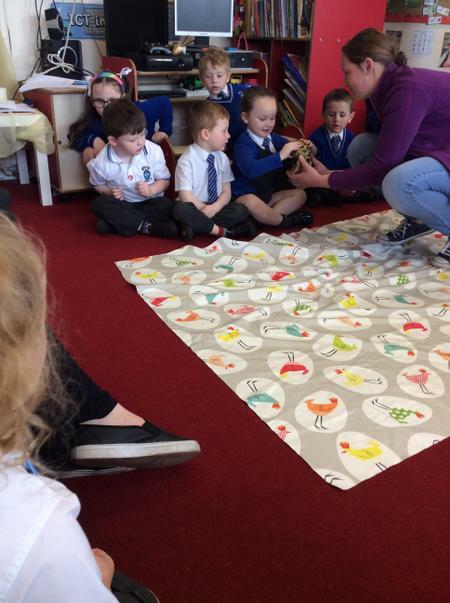 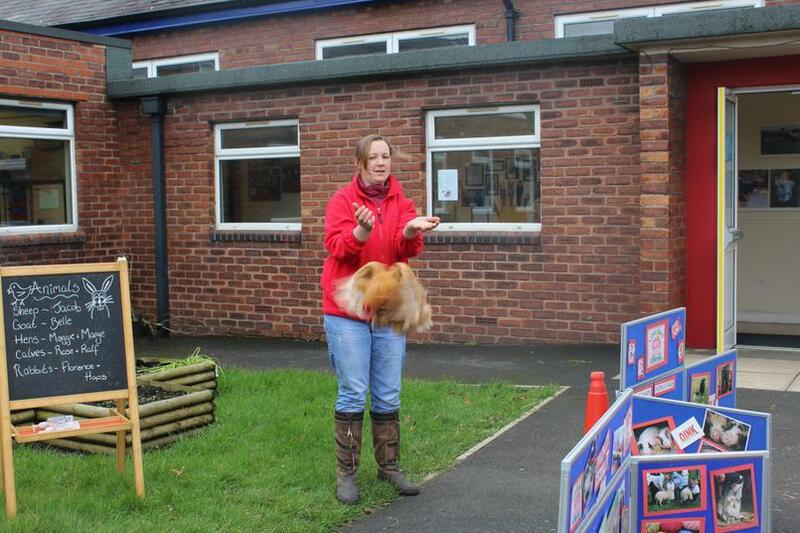 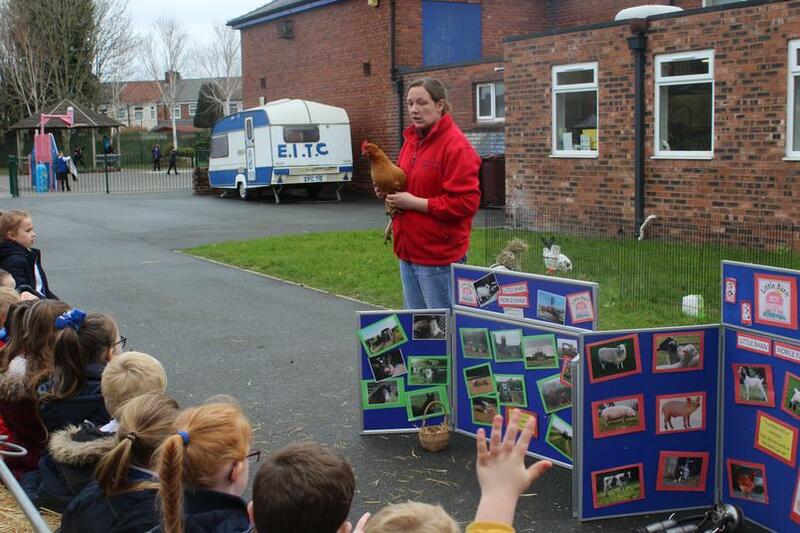 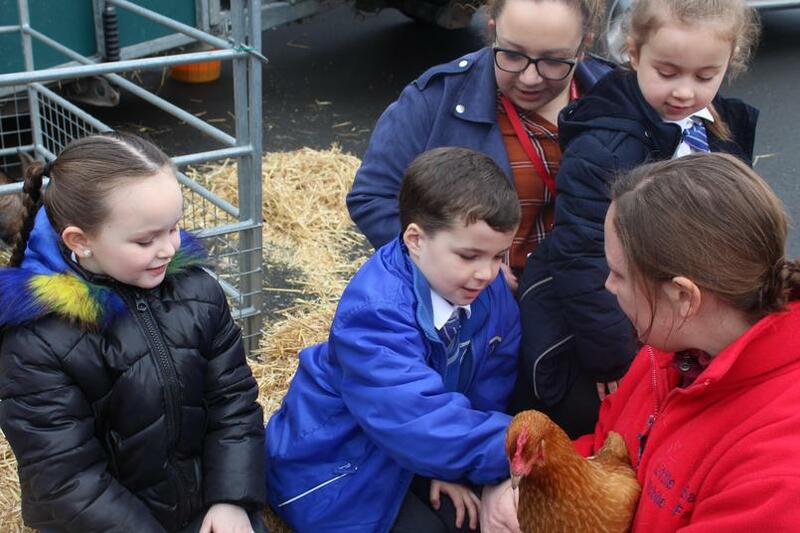 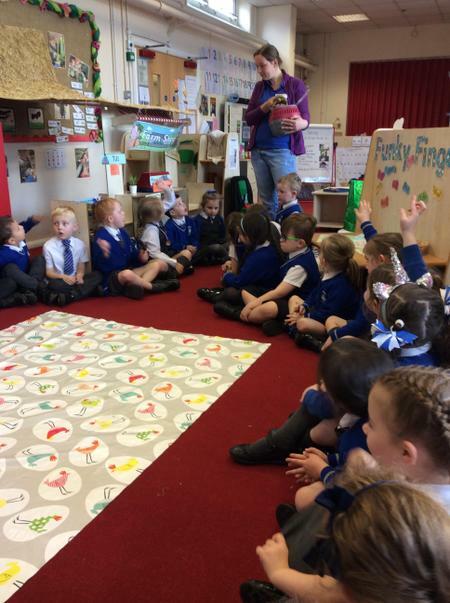 Nursery and Reception classes have enjoyed some exciting visitors in the last few weeks. 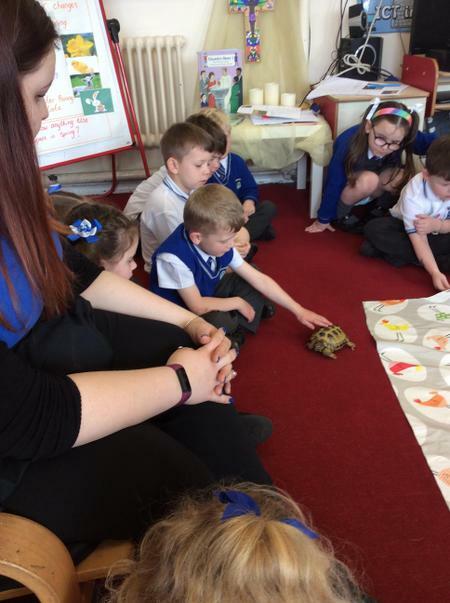 The children were showing care and concern for living things in the environment by making observations. 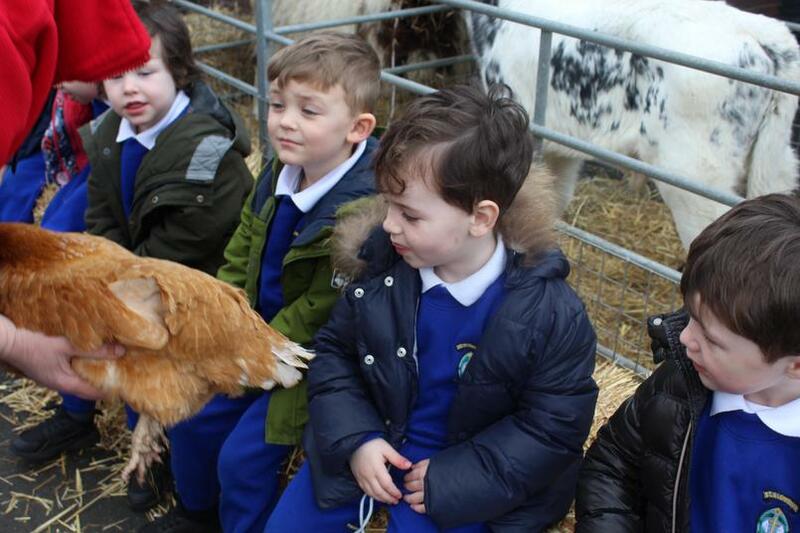 The children got to meet lambs, tortoises, goats, hens and sheep to name but a few. 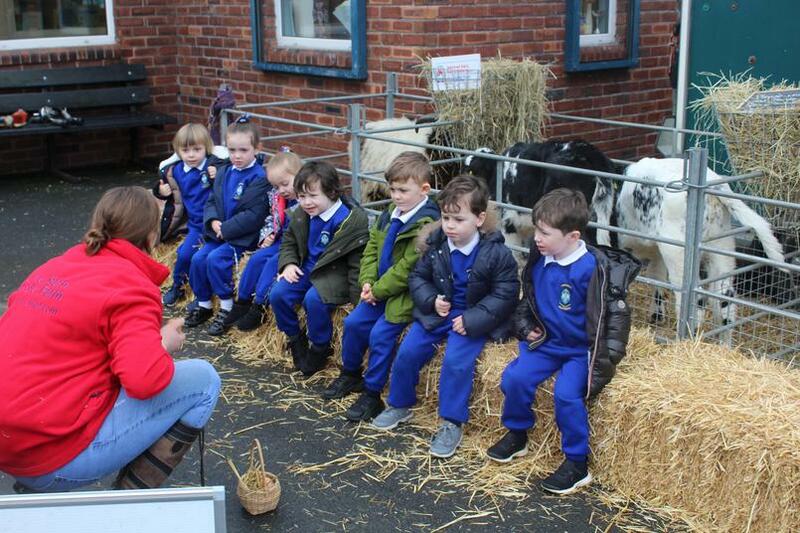 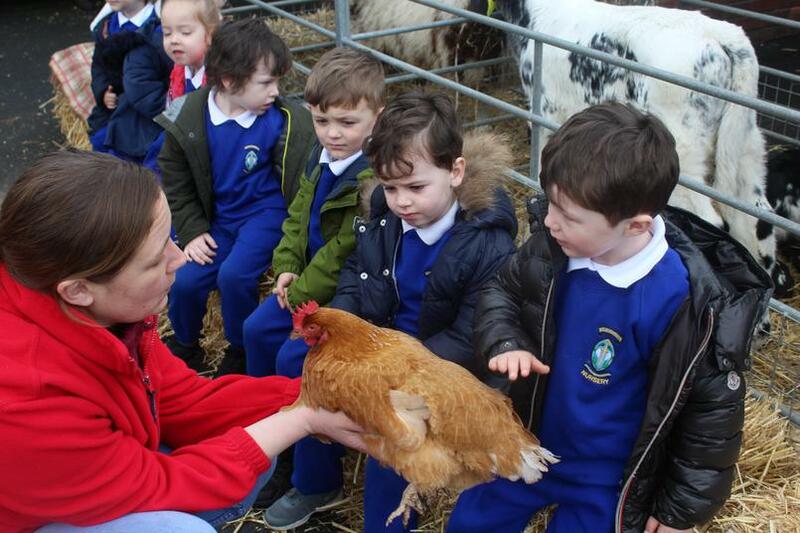 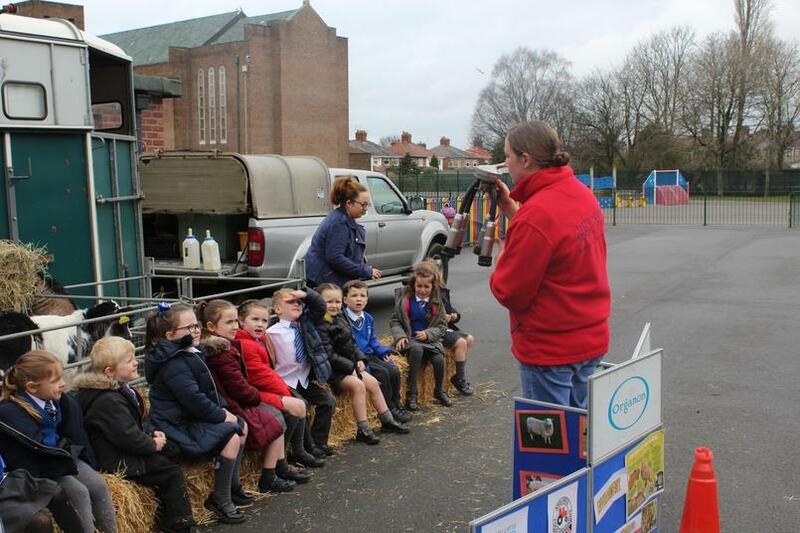 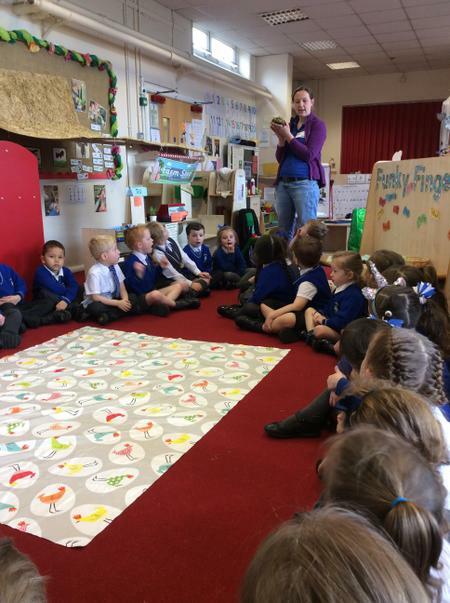 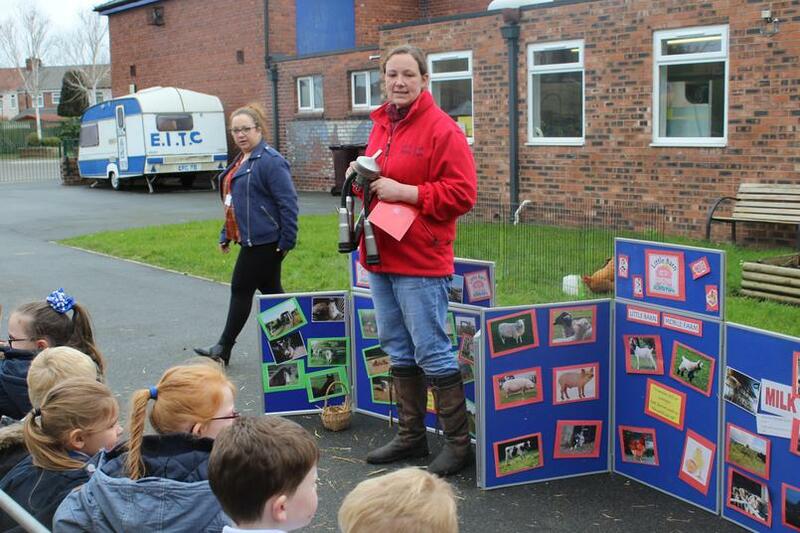 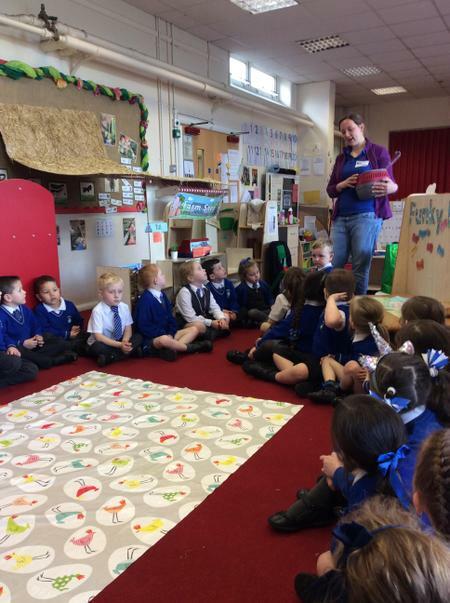 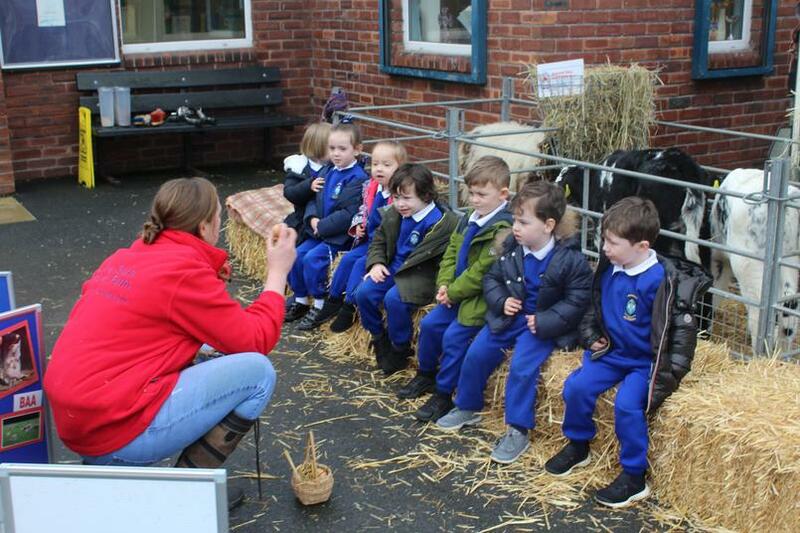 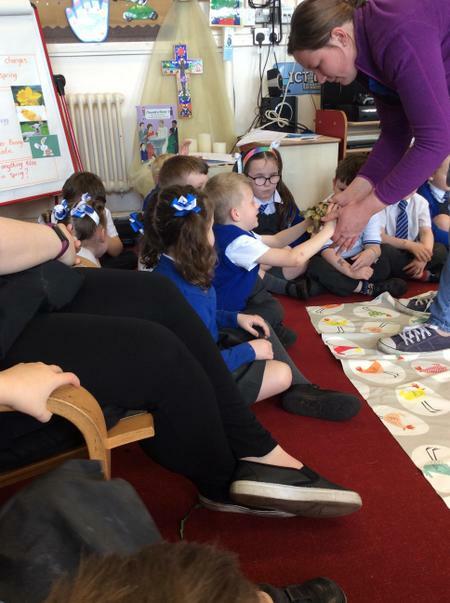 Children compared the babies and adults, fed the baby lambs with bottle milk, listened as the farmer told them how to care for the animals and also helped clean and brush the animals.